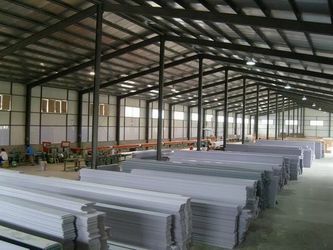 2002, it is a special manufacturer of PVC wall and ceiling panels, PVC profiles ,which accord with environmental protection.Our company owned the advanced production lines from Germany and Italy, the total annual capacity of over 5 million square meters PVC wall and ceiling panels, over 2,000MT other PVC products. Our products have obvious advantages in high-intensity, rot proof, fireproof, damp proof, impact resistance, sound resistance, easy installation, and easy maintenance and so on. It can be used over 20 years without aging or fading and has a wide range applicable to all types of hotels, office buildings, hospitals, schools, industrial plants, commercial buildings, restaurants and residential homes such as interior decoration. We have more than 15 engineers and technicians who are specializing in developing new products. 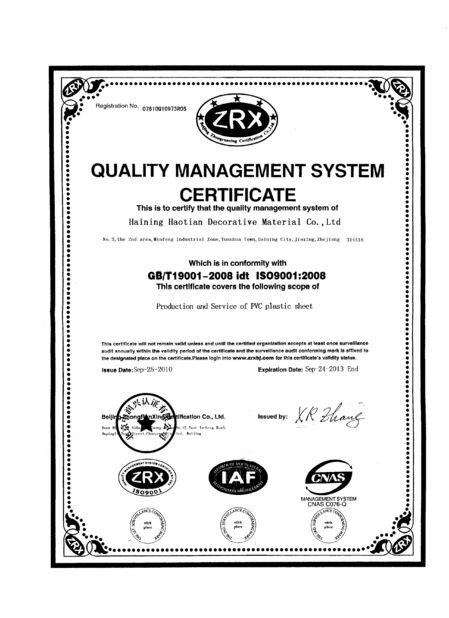 Our products can be satisfied with the requests of customers. All kinds of types, patterns & the colors we have developed are leading the fashion in Chinese decoration field. Our products can be found all over the world like Europe, Middle East, Asia and America. forward to forming business relations with customers from all over the world! 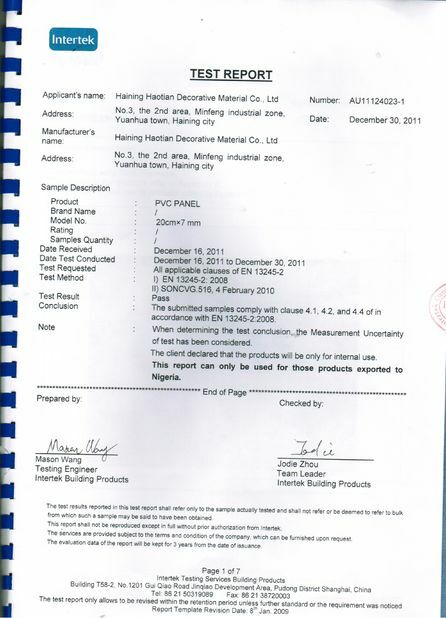 HAINING HAOTIAN DECORATIVE MATERIAL CO.,LTD. was founded. 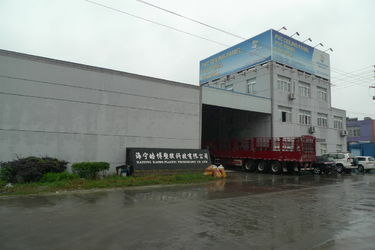 HAINING HAOBO PLASTIC AND RUBBER TECHNOLOGY CO.,LTD. was founded. 5. We send you proforma invoice with shipping cost. 7. After received the payment bank slip then we arrange production and shipping accordingly. c. Irrevocable L/C at sight, for old customers and volume orders. 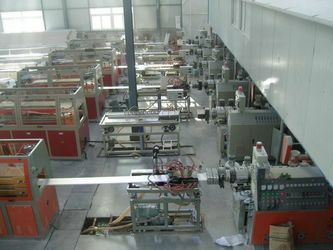 Normally we need 15 days after payment,if the product is need open new tooling,maybe need more time. The exact delivery time will depend the exact order and our sales will reply you.